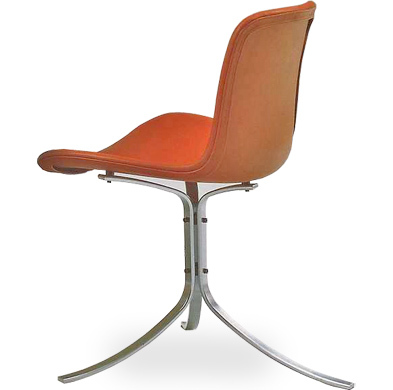 The PK9 – also referred to as "the Tulip chair" is part of Fritz Hansen's "Poul Kjaerholm collection". Simple yet distinguished, the PK9 follows the delicacy of Kjaerholm's design style. It is suitable for any environment, from lounges and waiting areas to private homes. The PK9 is a fine choice together with a great variety of tables, but the best match is the PK54 table. The PK9 side chair has a tripod, satin-brushed stainless steel base. The seat is covered in your choice of leathers. 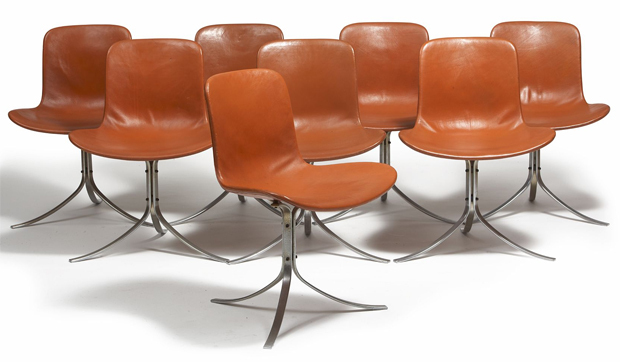 Created in 1961, Poul Kjærholm’s PK9 Chair reflects the designer’s quest for the perfect form. The PK9 hasan individual and aesthetical design profile, combining clean lines and organic forms. The tripod baseprovides the a distinctive look as well as a stable support for the seating shell. 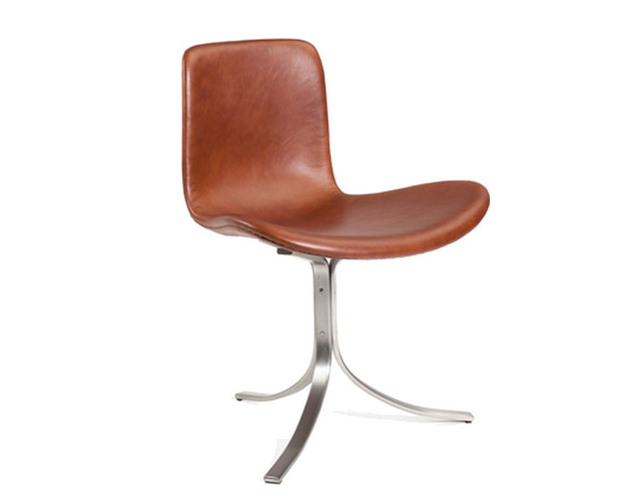 The fully-upholstered seatensures comfort and elegance. The experienced Danish cabinetmaker recognised the perfect balance of materialsand forms, making the PK9 Chair one of the popular classics of 20th Century Nordic furniture design.INFURN produces the PK9 with a three-pronged chromed steel base and a fibreglass shell, fully upholstered incashmere, classic leather or premium leather in a range of colours.